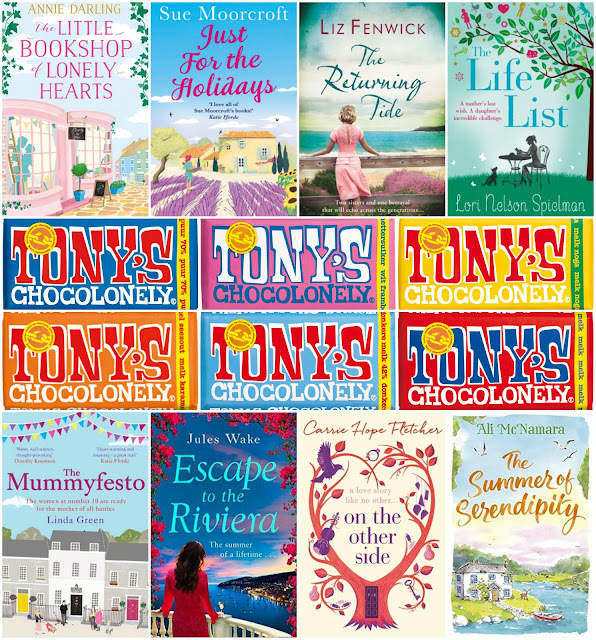 Enter this giveaway for a chance to win eight wonderful books and six chocolate bars. Good luck! I pick up romance books when I want to be taken away from the daily humdrum of life. I enjoy being dropped into another person's life to walk the path to falling in love with them. It makes me happy all over to know that love still conquers all. Love Romance books as I enjoy reading and discovering how the story develops. They fill a void in my own life! I love the feeling of joy I get when the couple finally end up together. "What do you like the most about romantic stories and why?" I like the idea of people achieving happiness, with witty repartee along the way! Most romance novels have a happy ending which is always nice to read about. Romances give me hope, and keep me positive, even though I'm yet to experience it myself. Happy endings in them are nice. I like the happy endings. Makes you feel good. I love seeing characters fall in love and all the struggles they have to go through before they reach that point. I like that they're not usually too scary, so I can read one when I just need something comfortable. I love getting swept up in the fantasy that romance novels offer. I live for a little a dream! They make me feel warm and happy. I love living vicariously through new love stories now I'm an old married lady! I tend to find that romance books are usually also feelgood books. Since I read a fair amount of dark fiction, romance books prove a welcome break! Love the fact that there are so many sub-genres within the Romance genre. Really enjoying seeing the relationship/s develop and how they met and whether or not they liked each other on sight. The fact that you can escape and enter someone else's life. What I love most is how they make you feel good! Some you laugh, some you cry....but I normally always love the endings! I love being able to relax and enjoy !